1841 - The Prophet Joseph, and those traveling with him, arrived in Monmouth, Illinois. There was great excitement in the city and there was great difficulty protecting the Prophet from the large crowd of people who had come to see him. The States’ Attorney asked for a continuance as he had not “had sufficient notice of the trial. By mutual consent it was accordingly postponed until Wednesday morning” (The next day). The Prophet records, “I was requested to preach to the citizens of Monmouth; but as I was a prisoner, I kept closeted in my room, for I could not even come down stairs to my meals, but the people would be crowding the windows to get a peep at me” (History of the Church, 4:366). 1844 - The Nauvoo City Council met “from 10 a.m. to 1 p. m.” and “from 3 to 6:30 p. m. The subject of the Nauvoo Expositor was taken under consideration. An ordinance was passed concerning the City Attorney and his duties” (History of the Church, 6:430). 1847 - While the first pioneer company was camped for the evening, a group of traders from Fort Bridger arrived and told them of the trail ahead. Fort Bridger was about 300 miles ahead. They also told the pioneers of the beautiful valley that is known as Utah Valley today. The group of traders were given letters to take east with them to Fort Laramie. 1888 - The Church leadership instructs stake leaders to establish an academy for secondary education. Between 1888 and 1909, the Church founded 35 academies in Utah, Idaho, Wyoming, Arizona, Mexico, and Canada. Today, several universities can trace their roots to these academies including, BYU-Idaho in Rexburg, Idaho and Snow College in Ephriam, Utah. 1900 - The First Presidency announces the beginning of missionary training classes which served as the foundation of today’s Missionary Training Centers. 1935 - The first nationwide Mutual Improvement Association conference held in Great Britain was held from June 8-10 at the Kidderminster town hall, near Birmingham, England. 1978 - The First Presidency issues a letter to the Church announcing the revelation to President Kimball that “all worthy male members of the Church may be ordained to the priesthood without regard for race or color” (Doctrine and Covenants Official Declaration 2). 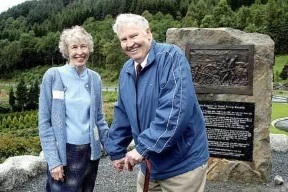 2010 - Torleif S. Knaphus, the Norwegian Sculptor who was a member of the Church and whose famous works include he “Handcart Pioneers” statue on Temple Square, was remembered with a monument at the Lutheran church where his family attended, prior to their conversion and emigration to Utah, in Vats, Norway. 2016 - Elder Dallin H. Oaks,of the Quorum of the Twelve Apostles, participated in an informal roundtable discussion with the All-Party Parliamentary Group in the House of Lords in London, United Kingdom, on the topic of religious freedom around the world.